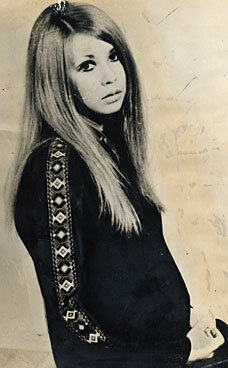 Melanie Coe ran away from home in 1967 when she was 15. Paul McCartney read about her in the papers and wrote ‘She’s Leaving Home’ for Sgt.Pepper’s. Melanie didn’t know Paul’s song was about her, but actually, the two did meet earlier, when Paul was the judge and Melanie a contestant in Ready Steady Go! The subtitles are produced live for The One Show, so some seconds late and with a few mistakes. Melanie at 17 in the picture that made the front pages in 1967 and inspired the Beatles. What is taught is that there is no final truth, no meaning, no absolutes, that it is only that we have not found truth and meaning, but that they do not exist. The student and the common man may not be able to analyze it, but day after day, day after day, they are being battered by this concept. We have now had several generations exposed to this and we must not be blind to the fact that it is being excepted increasingly. In contrast, this way of thinking has not had as much influence on the middle class. Many of these keep thinking in the old way as a memory of the time before the Christian base was lost in this post-Christian world. However, the majority in the middle-class have no real basis for their values since so many have given up the Christian viewpoint. They just function on the “memory.” This is why so many young people have felt that the middle class is ugly. They feel middle-class people are plastic, ugly and plastic because they try to tell others what to do on the basis of their own values but with no ground for those values. They have no base and they have no clear categories for their choices of right and wrong. Their choices tend to turn on what is for their material benefit. Take for example the fact faculty members who cheered when the student revolt struck against the administration and who immediately began to howl when the students started to burn up faculty manuscripts. They have no categories to say this is right and that is wrong. Many such people still hang on to their old values by memory but they have no base for them at all. A few years ago John Gardner head of the urban coalition spoke in Washington to a group of student leaders. His topic was on restoring values in our culture. When he finished there was a dead silence then finally one man from Harvard stood up and in a moment of brilliance asked, “Sir upon what base do you build your values?” I have never felt more sorry for anybody in my life. He simply looked down and said, “I do not know.” I had spoken that same day about what I was writing in the first part of this book. It was almost too good an illustration of my lecture. Here was a man appealing to the young people for a return to values but he is offering nothing to build on. man who was trying to tell his hearers not to drop out and yet giving no reason why they should not. Functioning only on a dim memory, these are the parents who have turned off their children when their children ask why and how. When their children crying out, “Yours is a plastic culture.” They are silent. We had the response so beautifully stated in the 1960s in the Beatles’ Sergeant Pepper’s song “She is leaving home.” “We gave her everything money could buy.” This is the only answer many parents can give. They are bothered about what they read in the newspapers concerning the way the country and the culture are going. When they read of the pornographic plays, see pornographic films on TV, they are distressed. They have a vague unhappiness about it, feel threatened by all of it and yet have no base upon which to found their judgments. And tragically such people are everywhere. They constitute the largest body in our culture-northern Europe, Britain, and also in America and other countries as well. They are a majority-what is called for a time the “silent majority”–but they are weak as water. They are people who like the old ways because they are pleasant memories, because they give what to them is a comfortable way to live but they have no basis for their values. Education for example is excepted and pressed upon their children as the only thinkable thing to pursue. Success is starting the child at the earliest possible age and then within the least possible years he is obtaining a Masters or PhD degree. Yet if the child asks why?, the only answers are first because it gives social status and then because statistics show that if you have a university or college education you will make more money. There is no base for real values are even the why of a real education. In the late summer, early fall of 1966, The Beatles were tired of being The Beatles. The Fab Four couldn’t go anywhere without being mobbed, they had grown to hate touring because the wild screams of young girls drowned out their primitive amplifiers to the point that they couldn’t hear themselves play! They took a break and stewed in jealousy over the recently released Beach Boys album Pet Sounds that critics were proclaiming to be the most innovative material since the rise of rock & roll itself. On the return from an African vacation, Paul McCartney had an epiphany–create an altar image and release a groundbreaking concept record that would be a show in and of itself. The result was Sgt. Peppers Lonely Hearts Club Band. McCartney hoped to create an album that captured the essence of childhood and everyday life. 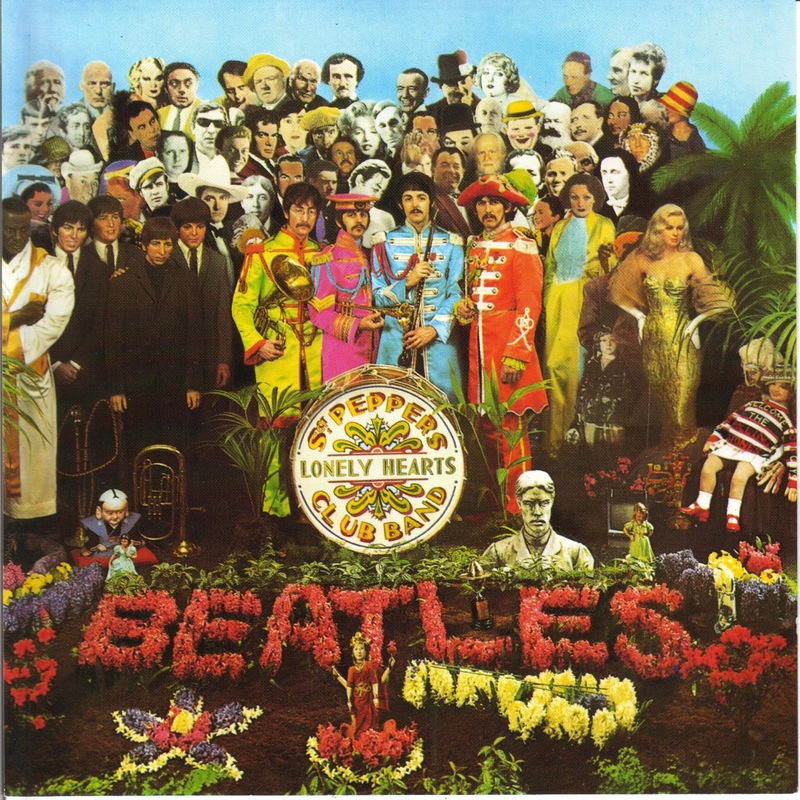 A number of songs effectively do just that (even the controversial “Lucy in the Sky with Diamonds,’ which most took to be a reference to LSD was in fact an ode to a picture drawn by John Lennon’s son Julian) but the concept proved too difficult even for the infamously disciplined Beatles to pull off and, ultimately, many of the songs were simply the best the four had to offer at the time. When I first listened to Sgt. Pepper’s from beginning to finish, I was only 17 and failed to see why it was so influential but, after working for rock & roll icons Jerry Leiber and Mike Stoller, I came to see that from the perspective of 1967, Sgt. Pepper’s changed pop music forever. To appreciate today, one must still listen to it in context and listen to it you must without distraction and from beginning to end. While many “Beatlemaniacs” identify “With A Little Help From My Friends” or the catchy “When I’m Sixty-Four” as their favorite tracks, I always believed “She’s Leaving Home” was the most thoughtful track. McCartney was inspired to write the song after reading a newspaper article about a young girl who had disappeared. The tune captures a moment where a girl leaves the home of her parents who tried to give her “everything money could buy” but still left her feeling as if she were alone. As a Christian listening to Sgt. Pepper’s it is hard not to think of Francis Schaeffer who reportedly cried when the Free Speech movement died despite his conservatism. 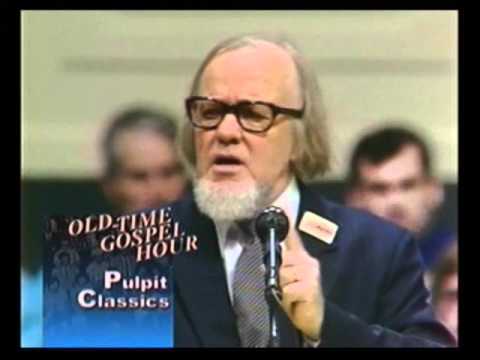 Schaeffer did not agree with the far left but was pleased to see a generation who, like the girl in “She’s Leaving Home,” was looking for more than just material comfort. Then and now, there is a myth born in the depths of hell that the meaning of life is a comfortable existence with a lot of money and the toys. In fact, life is about a relationship with God through Jesus Christ. Unfortunately, the only one of the Beatles who ever truly investigated the liberation of Christianity was John Lennon who had a regular correspondence with Jerry Falwell up until his death. Sadly, Yoko Ono apparently opposed John’s inquiries. Regardless, Sgt. Pepper’s is worth your time. Next week, we will look at the art of Jackson Pollock. “She’s Leaving Home” is a Lennon–McCartney song, released in 1967 on the Beatles album Sgt. Pepper’s Lonely Hearts Club Band. Paul McCartney wrote and sang the verse and John Lennon the chorus while neither George Harrison nor Ringo Starr were involved in the recording. The song was performed entirely by a small string orchestra arranged by Mike Leander, and was one of only a handful of Beatles songs in which the members did not play any instruments on the recording. John and I wrote ‘She’s Leaving Home’ together. It was my inspiration. We’d seen a story in the newspaper about a young girl who’d left home and not been found, there were a lot of those at the time, and that was enough to give us a story line. So I started to get the lyrics: she slips out and leaves a note and then the parents wake up … It was rather poignant. I like it as a song, and when I showed it to John, he added the long sustained notes, and one of the nice things about the structure of the song is that it stays on those chords endlessly. Before that period in our song-writing we would have changed chords but it stays on the C chord. It really holds you. It’s a really nice little trick and I think it worked very well. While I was showing that to John, he was doing the Greek chorus, the parents’ view: ‘We gave her most of our lives, we gave her everything money could buy.’ I think that may have been in the runaway story, it might have been a quote from the parents. Then there’s the famous little line about a man from the motor trade; people have since said that was Terry Doran, who was a friend who worked in a car showroom, but it was just fiction, like the sea captain in “Yellow Submarine“, they weren’t real people. 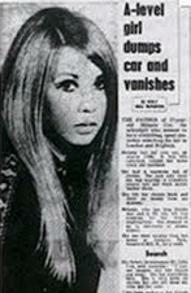 The newspaper story McCartney mentioned was from the front page of the Daily Mirror, about a girl named Melanie Coe. Although McCartney invented most of the content in the song, Coe, who was 17 at the time, claims that most of it was accurate. In actuality, Coe did not “meet a man from the motor trade”, but instead a croupier, and left in the afternoon while her parents were at work, while the girl in the song leaves early in the morning as her parents sleep. Coe was found ten days later because she had let slip where her boyfriend worked. When she returned home, she was pregnant and had an abortion. 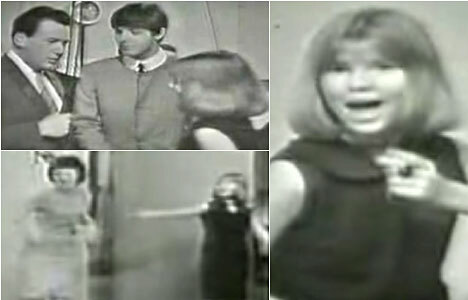 In a bizarre coincidence, Coe had actually met McCartney three years earlier, in 1963 when he chose her as the prize winner in a dancing contest on ITV’s Ready Steady Go!. An update on Coe appeared in the Daily Mail in May 2008, and she was interviewed about the song on the BBC programme The One Show on 24 November 2010. The day before McCartney wanted to work on the song’s score, he learned that George Martin, who usually handled the Beatles’ string arrangements, was not available. He contacted Mike Leander, who did it in Martin’s place. It was the first time a Beatles song was not arranged by Martin (and the only time it was done with the Beatles’ consent: Phil Spector‘s orchestration of Let It Be was done without McCartney’s knowledge or approval). Martin was hurt by McCartney’s actions, but he produced the song and conducted the string section. The harp was played by Sheila Bromberg, one of the first studio musicians to appear on a Beatles record. The stereo version of the song runs at a slower speed than the mono mix, and consequently is a semitone lower in pitch. This is mentioned in the booklet accompanying The Beatles in Mono CD box set, but no reason is given. A 2007 Mojo magazine article revealed the mono mix was sped up to make Paul sound younger and tighten the track. Writers Lennon and McCartney received the 1967 Ivor Novello award for Best Song Musically and Lyrically. A beautiful Paul McCartney song from the 1967 BEATLES masterpiece SGT. PEPPER’S LONELY HEARTS CLUB BAND. “She’s Leaving Home” was inspired by a newspaper story about a well-to-do 17-year-old girl named Melanie Coe who disappeared from her parents’ home in London. While McCartney took the perspective of the teen runaway, Lennon sang counterpoint (the “Greek chorus,” as McCartney called it) in the voice of the heartbroken parents. Title: Mother Nature’s Son – Rehearsal taped June 11,1968.Paul recorded 32 takes of Blackbird on this day and in between takes he ran through Mother Nature’s Son,a song he had written in India and demoed at George Harrison’s Esher estate “Kinfauns” in May.Listen to John’s suggestion about a brass band being used for the song.Paul would record the song on Aug 9 with the brass being added on the 20th. By the time McCartney recorded the song, the White Album sessions had nearly become simultaneous solo projects — “Mother Nature’s Son” is one of four songs on the album that McCartney recorded by himself. He did the basic track on August 9th, after the rest of the band had gone home for the night, and returned to it 11 days later, playing drums (set up in a corridor to alter their sound) and overseeing a brass ensemble. When Lennon — who hated it whenever McCartney recorded without the rest of the band — walked in with Starr, “you could have cut the atmosphere with a knife,” recalled engineer Ken Scott. The original “fifth Beatle,” Sutcliffe was a talented painter who played bass for the group before leaving to pursue a promising career as a visual artist—one that came to a premature end when he died from a brain hemorrhage in 1962 at age 21. Lennon, his closest friend in the band, asked to include him on the Sgt. Pepper’s cover. Yoko Ono has said that hardly a day went by when her husband did not mention Sutcliffe’s name. The old Beatles are at left side, standing graveside, mourning their death. Legend is this signified when the Beatles realized they could no longer tour and play live dates. The crowds were too large, the noise was too great even for them to hear themselves playing, and the crazies and stalkers were rearing up. So from this point forward, the new Beatles – shown front and center in their Sgt. Peppers regalia – became a studio band, safely nestled away in the Abbey Road studios. Another reason for their departure from the stage. By 1967, the Beatles were creating music that was so electronically complex for the time it could not be reproduced live using the technology of the day. This was the advent of post-production effects. For example, the rising orchestra-glissando and final chord for “Day In The Life” was produced by all 4 Beatles and George Martin banging on 3 pianos simultaneously. As the sound diminished, the recording engineer boosted to faders. The resulting note lasts 42 seconds, and the studio air conditioners can be heard toward the end as the faders were pushed to the limit to record it. The rising orchestra-glissando and the thundering sound are reminiscent of “Entry of the Gods into Valhalla” from Richard Wagner’s opera “Das Rheingold,” where after the rising glissando, Thor beats with his hammer. George Martin said in his 1979 bookAll You Need is Ears that the glissando was Lennon’s idea. After Lennon’s death, Martin seems to have changed his mind. In his 1995 book Summer of Love: The Making of Sgt. Pepper, he states that the rising orchestra-glissando was McCartney’s idea. (thanks to Johan Cavalli, who is a music historian in Stockholm). 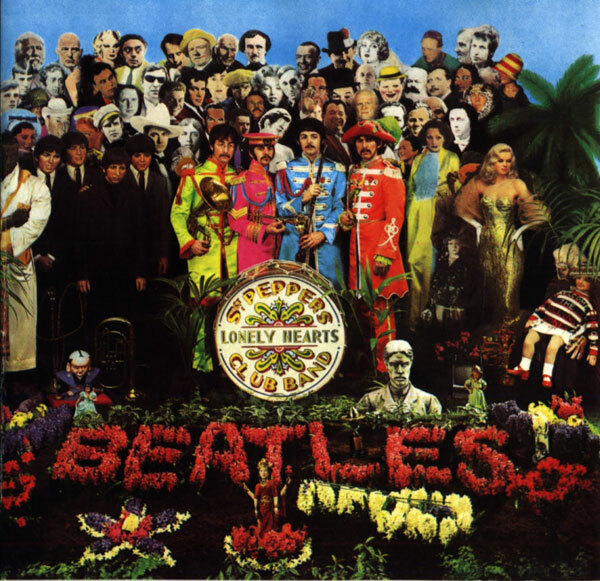 This album cover was created by Jann Haworth and Peter Blake. They won the Grammy Award for Best Album Cover, Graphic Arts in 1968 for their work on this cover. A 9-inch Sony television set – the receipt is owned by a curator of a museum dedicated to The Beatles in Japan. Frozen into myth by an early death in 1962, the artist and musician Stuart Sutcliffe is best known for his brief membership, between January and December 1960, of an early line-up of The Beatles. Sutcliffe was persuaded by John Lennon to buy a bass guitar with the money he received from the Walker Art Gallery, Liverpool, for the gallery’s purchase of his The Summer Painting (1959) in the John Moores Painting Exhibition that year. He then played with The Beatles (as the group were changing their name to successive variations of ‘Silver Beatles’) on their tour of Scotland, and during their first residency in Hamburg. In 1961, having met and fallen in love with the photographer Astrid Kirchherr, he enrolled at Hamburg State School of Art, as a master’s student in the class of visiting professor Eduardo Paolozzi. Showing exceptional promise as a painter, Sutcliffe died the following year of a brain haemorrhage, aged 21. Since his death, and encouraged by the superior but romantically stylized biographical feature film Backbeat (1994), the assessment of Sutcliffe’s work as a visual artist has perhaps inevitably been contextualized almost solely by its position within the early career of the Beatles. The importance of this latest retrospective of his work, entitled ‘Stuart Sutcliffe: Retrospective’, curated by Colin Fallows and Matthew H. Clough, and of the substantial accompanying publication, lies in their scholarly review of his art on a strictly art-historical basis. A concise and revealingly chosen selection of work, from charmingly vivacious juvenilia made when Sutcliffe was still a pupil at Prescot Grammar School, through to the last big ‘black’ paintings that he was working on at the time of his death, makes a potent and persuasive case for a major reassessment of the artist’s legacy. As detailed by Bryan Biggs in his catalogue essay ‘A Link in Something Larger’ (2008), the influences on the development of Sutcliffe’s art comprise a largely northern European nexus of ideas and examples – notably those of Nicholas de Staël and Pierre Soulages – as filtered first through the teaching culture at Liverpool Regional College of Art where Sutcliffe was enrolled. His interest, progressive for an art student of that period, lay in exploring the divide between abstraction and figuration. Biggs quotes artist and poet Adrian Henri’s summary of Sutcliffe’s painting style, from a review written in 1964: ‘a synthesis of Parisian abstraction [and] the dynamic colour field freedom of the New York School’. The first room of this retrospective is devoted to establishing the artist’s earliest work, and his initial experience, from 1956, of art education at Liverpool Regional College of Art. These pieces include some lively early successes: a gothic graveyard scene made in a grammar-school exercise book; an ink and watercolour illustration to the children’s rhyme ‘Georgie Porgie’, in which a superbly indignant little girl scowls furiously at Georgie’s insolent embrace. Also included are irresistibly evocative ephemera of student life – such as membership cards to city jazz clubs – from the collection of Sutcliffe and Lennon’s flatmate, Rod Murray. As recounted by the work exhibited in the second gallery, the shift in creative temperament from charming pastiche to emotional urgency is immediately apparent in Sutcliffe’s swiftly maturing and enquiring painting style. He moves rapidly through painting in the British ‘kitchen sink’ realist style of the mid-1950s, to engage instead with a temperament that Biggs astutely identifies as drawn towards the freedoms associated with artists connected to Art Informel – Wols, Henri Michaux and Jean Fautrier. Sutcliffe’s later paintings in oil on canvas are intently worked and thick with paint, in deft and fluid smears and dabs. There is a gathering intensity in the work that instantly declares itself – a searching through styles for a personal style, in which the process of investigation ultimately defines the emotional core of the work. One can also see the faint imprint of a more specifically British sensibility – of the work of Alan Davie, for example, William Turnbull or Patrick Heron. There is a complete absence, however, of Pop art influence; the temper of the work is entirely painterly, reaching for inner response as opposed to outer ‘cool’. Working with increasing assurance, finding his own style within intense, intuitive mark making, Sutcliffe’s media ranged from paintings in oil on canvas and monotype on collage, through to lithography and oil and collage on paper. Three ‘black’ paintings, hung side by side, all Untitled and made during 1961 and 1962, create what feels like the aesthetic centrepiece and biographical destination of this retrospective. All oils on canvas, the surfaces of these paintings possess a near mineralogical density, as though charred matter in roughly tessellating patterns had become encrusted over the red underpainting, traces of which appear to burn through the compositions like glowing embers. In their presence, one felt that had Sutcliffe lived, his future as an artist of note –or perhaps of considerable importance – was already assured. Stuart Fergusson Victor Sutcliffe (23 June 1940 – 10 April 1962) was a Scottish-born artist and musician best known as the original bassist for the Beatles. Sutcliffe left the band to pursue his career as an artist, having previously attended the Liverpool College of Art. Sutcliffe and John Lennon are credited with inventing the name, “Beetles”, as they both liked Buddy Holly‘s band, the Crickets. The band used this name for a while until Lennon decided to change the name to “the Beatles”, from the word Beat. As a member of the group when it was a five-piece band, Sutcliffe is one of several people sometimes referred to as the “Fifth Beatle“. When the Beatles played in Hamburg, he met photographer Astrid Kirchherr, to whom he was later engaged. After leaving the Beatles, he enrolled in the Hamburg College of Art, studying under future pop artist,Eduardo Paolozzi, who later wrote a report stating that Sutcliffe was one of his best students. Sutcliffe earned other praise for his paintings, which mostly explored a style related to abstract expressionism. While studying in Germany, Sutcliffe began experiencing severe headaches and acute sensitivity to light. In the first days of April 1962, he collapsed in the middle of an art class after complaining of head pains. German doctors performed various checks, but were unable to determine the exact cause of his headaches. On 10 April 1962, he was taken to hospital, but died in the ambulance on the way. The cause of death was later revealed to have been an aneurysm in his brain’s right hemisphere. Sutcliffe’s father, Charles Sutcliffe (1905 – 18 March 1966), was a senior civil servant, who moved to Liverpool to help with wartime work in 1943, and then signed on as a ship’s engineer, and so was often at sea during his son’s early years. His mother, Millie, was a schoolteacher at an infants’ school. Sutcliffe had two younger sisters, Pauline and Joyce. Sutcliffe was born at the Simpson Memorial Maternity Pavilion Hospital in Edinburgh, Scotland, and after his family moved south, he was brought up at 37 Aigburth Drive in Liverpool. He attended Park View Primary School, Huyton (1946–1950), andPrescot Grammar School (1950–1956). When Sutcliffe’s father did return home on leave, he invited his son and art college classmate, Rod Murray (also Sutcliffe’s roommate and best friend), for a “real good booze-up“, slipping £10 into Sutcliffe’s pocket before disappearing for another six months. The Beatles’ biographer, Philip Norman, wrote that Charles Sutcliffe was a heavy drinker and physically cruel to his wife, which the young Sutcliffe had witnessed. During his first year at the Liverpool College of Art, Sutcliffe worked as a bin man on the Liverpool Corporation’s waste collection trucks. Lennon was introduced to Sutcliffe by Bill Harry, a mutual friend, when all three were studying at the Liverpool College of Art. According to Lennon, Sutcliffe had a “marvellous art portfolio” and was a very talented painter who was one of the “stars” of the school. He helped Lennon to improve his artistic skills, and with others, worked with him when Lennon had to submit work for exams. Sutcliffe shared a flat with Murray at 9 Percy Street, Liverpool, before being evicted and moving to Hillary Mansions at 3 Gambier Terrace, where another art student lived, Margaret Chapman, who competed with Sutcliffe to be the best painter in class. The flat was opposite the new Anglican cathedral in the rundown area of Liverpool 8, with bare lightbulbs and a mattress on the floor in the corner. Lennon moved in with Sutcliffe in early 1960. (Paul McCartney later admitted that he was jealous of Sutcliffe’s relationship with Lennon, as he had to take a “back seat” to Sutcliffe). Sutcliffe and his flatmates painted the rooms yellow and black, which their landlady did not appreciate. On another occasion the tenants, needing to keep warm, burned the flat’s furniture. After talking to Sutcliffe one night at the Casbah Coffee Club (owned by Pete Best‘s mother, Mona Best), Lennon and McCartney persuaded Sutcliffe to buy a Höfner President 500/5 model bass guitar on hire-purchase from Frank Hessey’s Music Shop. Sutcliffe was versed in music: he had sung in the local church choir in Huyton, his mother had insisted on piano lessons for him since the age of nine, he had played bugle in the Air Training Corps, and his father had taught him some chords on the guitar. In May 1960, Sutcliffe joined Lennon, McCartney, and George Harrison (then known as “the Silver Beatles“). Sutcliffe’s fingers would often blister during long rehearsals, as he had never practised long enough for his fingers to become calloused, even though he had previously played acoustic guitar. Sutcliffe started acting as a booking agent for the group, and they often used his Gambier Terrace flat as a rehearsal room. 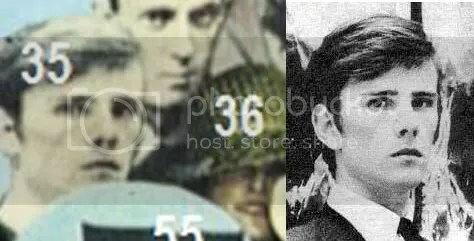 In July 1960, the Sunday newspaper, The People, ran an article entitled “The Beatnik Horror” that featured a photograph taken in the flat below Sutcliffe’s of a teenaged Lennon lying on the floor, with Sutcliffe standing by a window. As they had often visited the Jacaranda club, its owner, Allan Williams, arranged for the photograph to be taken, subsequently taking over from Sutcliffe to book concerts for the group: Lennon, McCartney, Harrison and Sutcliffe. The Beatles’ subsequent name change came during an afternoon in the Renshaw Hall bar when Sutcliffe, Lennon and his girlfriend, Cynthia Powell, thought up names similar to Holly’s band, the Crickets, and came up with Beetles. Lennon later changed the name because he thought it sounded French, suggesting Le Beat or Beat-less. Sutcliffe’s playing style was elementary, mostly sticking to root notes of chords. Harry—an art school friend and founder and editor of the Mersey Beat newspaper—complained to Sutcliffe that he should be concentrating on art and not music, as he thought that Sutcliffe was a competent musician whose talents would be better used in the visual arts. While Sutcliffe is often described in Beatles’ biographies as appearing very uncomfortable onstage, and often playing with his back to the audience, their drummer at the time, Best, denies this, recalling Sutcliffe as usually good-natured and “animated” before an audience. When the Beatles auditioned for Larry Parnes at the Wyvern Club, Seel Street, Liverpool, Williams later claimed that Parnes would have taken the group as the backing band for Billy Fury for £10 per week, but as Sutcliffe turned his back to Parnes throughout the audition—because, as Williams believed, Sutcliffe could not play very well—Parnes said that he would only employ the group if they got rid of Sutcliffe. Parnes later denied this, stating his only concern was that the group had no permanent drummer. Klaus Voormann regarded Sutcliffe as a good bass player, although Beatles’ historian Richie Unterberger described Sutcliffe’s bass playing as an “artless thump”. Sutcliffe’s popularity grew after he began wearing Ray-Ban sunglasses and tight trousers. Sutcliffe’s high spot was singing “Love Me Tender“, which drew more applause than the other Beatles, and increased the friction between him and McCartney. Lennon also started to criticise Sutcliffe, making jokes about Sutcliffe’s size and playing. On 5 December 1960, Harrison was sent back to Britain for being under-age. McCartney and Best were deported for attempted arson at the Bambi Kino, which left Lennon and Sutcliffe in Hamburg. Lennon took a train home, but as Sutcliffe had a cold he stayed in Hamburg. Sutcliffe later borrowed money from his girlfriend, Astrid Kirchherr, in order to fly back to Liverpool on Friday, 20 January 1961, although he returned to Hamburg in March 1961, with the other Beatles. 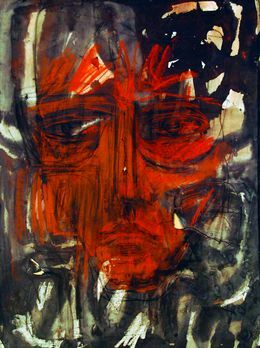 In July 1961, Sutcliffe decided to leave the group to continue painting. 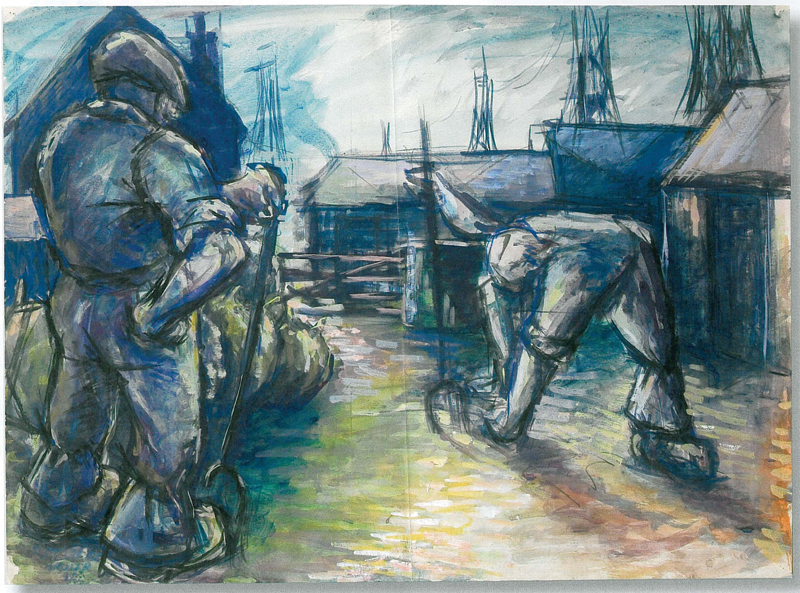 After being awarded a postgraduate scholarship, he enrolled at the Hamburg College of Art under the tutelage of Paolozzi. He lent McCartney his bass until the latter could earn enough to buy a specially made smaller left-handed Höfner bass guitar of his own in June 1961, but asked McCartney (who is left-handed) not to change the strings around, so McCartney had to play the guitar upside down. In 1967, a photo of Sutcliffe was among those on the cover of the Sgt. Pepper’s Lonely Hearts Club Band album (extreme left, in front of fellow artist Aubrey Beardsley). Kirchherr was brought up by her widowed mother, Nielsa Kirchherr, in Eimsbütteler Strasse, in a wealthy part of the Hamburg suburb of Altona. Sutcliffe met Kirchherr in the Kaiserkeller club, where she went to watch the Beatles perform. After a photo session with the group, Kirchherr invited them to her mother’s house for tea and showed them her bedroom; decorated in black, including the furniture, with silver foil on the walls and a large tree branch hanging from the ceiling. Sutcliffe began dating Kirchherr shortly thereafter. Sutcliffe wrote to friends that he was infatuated with Kirchherr, and asked her German friends which colours, films, books and painters she liked. Best commented that the beginning of their relationship was, “like one of those fairy stories”. 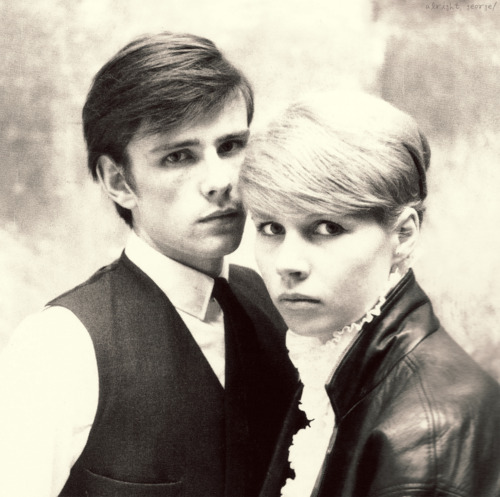 Kirchherr and Sutcliffe got engaged in November 1960, and exchanged rings, as is the German custom. 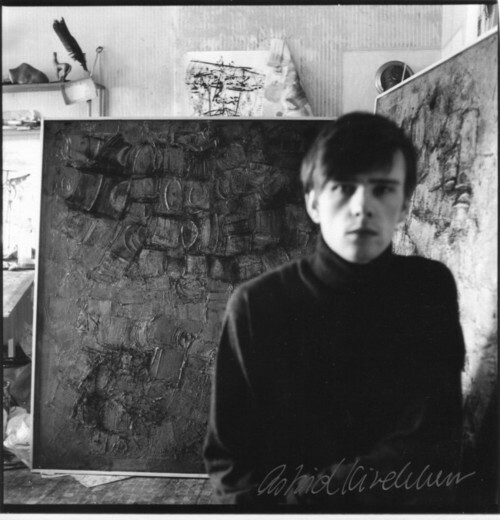 Sutcliffe later wrote to his parents that he was engaged to Kirchherr, which they were shocked to learn, as they thought he would give up his career as an artist,although he told Kirchherr that he would like to be an art teacher in London or Germany in the future. After moving into the Kirchherr family’s house, Sutcliffe used to borrow her clothes. He wore her leather pants and jackets, collarless jackets, over-sized shirts and long scarves, and also borrowed a corduroy suit with no lapels that he wore on stage, which prompted Lennon to sarcastically ask if his mother had lent him the suit. Sutcliffe displayed artistic talent at an early age. Helen Anderson (a fellow student), remembered his early works as being very aggressive, with dark, moody colours, which was not the type of painting she expected from such a “quiet student”. One of Sutcliffe’s paintings was shown at the Walker Art Gallery in Liverpool as part of the John Moores exhibition, from November 1959 until January 1960. After the exhibition, Moores bought Sutcliffe’s canvas for £65, which was then equal to 6–7 weeks’ wages for an average working man. The picture Moore bought was called Summer Painting, and Sutcliffe attended a formal dinner to celebrate the exhibition with another art student, Susan Williams. Murray remembered that the painting was painted on a board, not a canvas, and had to be cut into two pieces (because of its size) and hinged. Murray added that only one of the pieces actually got to the exhibition (because they stopped off in a pub to celebrate), but sold nonetheless because Moores bought it for his son. Sutcliffe’s few surviving works reveal influence from the British and European abstract artists contemporary with the Abstract Expressionist movement in the United States. His earlier figurative work is reminiscent of the kitchen sink school, particularly of John Bratby, though Sutcliffe was producing abstract work by the end of the 1950s, including The Summer Painting, purchased by Moores. Sutcliffe’s works bear some comparison with those of John Hoyland and Nicolas de Staël, though they are more lyrical (Sutcliffe used the stage name “Stu de Staël” when he was playing with the Beatles on a Scottish tour in spring 1960). His later works are typically untitled, constructed from heavily impastoed slabs of pigment in the manner of de Staël, whom he learned about from Surrey born, art college instructor, Nicky Horsfield, and overlaid with scratched or squeezed linear elements creating enclosed spaces. Hamburg Painting no. 2 was purchased by Liverpool’s Walker Art Gallery and is one of a series entitled “Hamburg” in which the surface and colour changes produced atmospheric energy. European artists (including Paolozzi) were also influencing Sutcliffe at the time. The Walker Art Gallery has other works by Sutcliffe, which are “Self-portrait” (in charcoal) and “The Crucifixion“. Lennon later hung a pair of Sutcliffe’s paintings in his house (Kenwood) in Weybridge, and McCartney had a Paolozzi sculpture in his Cavendish Avenue home. Although Lennon did not attend or send flowers to Sutcliffe’s funeral, his second wife, Yoko Ono, remembered that Lennon mentioned Sutcliffe’s name very often, saying that he was “[My] alter ego … a spirit in his world … a guiding force”. The Beatles’ compilation album, Anthology 1, consisting mostly of previously unreleased recordings from the group’s early years, was released in 1995. Sutcliffe is pictured on the front covers of both Anthology 1 and Anthology 3, in the top right corner. He is featured playing bass with the Beatles on three songs they recorded in 1960: “Hallelujah, I Love Her So“, “You’ll Be Mine“, “Cayenne” and “My Bonnie“.